I cannot remember if I have mentioned this before, but if I did, it bears mentioning again. This is the BEST sausage for egg casseroles, dips,homemade pizza and anything else where you might need crumbled sausage. It also comes in the regular pork and I sometimes combine the turkey and the pork. I use it for all my egg casseroles and for homemade pizza and we love it. It's just so convenient and sometimes that outweighs anything else. 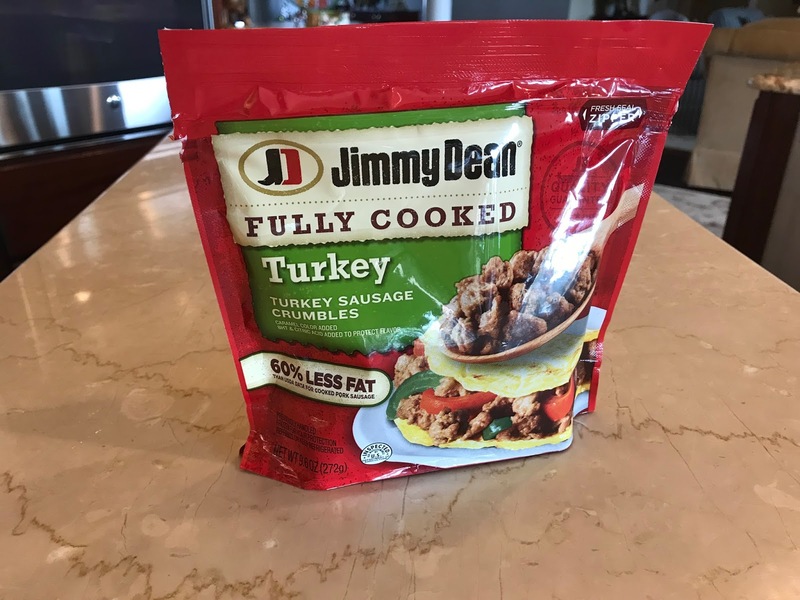 ~smile~ And, if there is another brand, I have never seen it, I've only seen Jimmy Dean. It's spring and most of us are readying our yards, porches and patios. I have looked at these Garden Rockers for the past several years and thought about buying one but never did. That is until a couple of weeks ago. I browsing through Tuesday morning and came across it again and this time I grabbed it and it was $20 well spent! It is the dandiest little thing and makes planting plants and digging in the dirt sooooo much easier. It's adjustable so you can adjust it to whatever height is most comfortable for you. What a cleaver idea!! I had never heard of "dry mouth" until 3-4 years ago and now I've heard of all kinds of folks that deal with it. My Daddy has serious issues with it, especially while he is sleeping. He's been dealing with it about 5 years and I have bought him mouthwashes and toothpastes that are suppose to help but until Xylimelts, nothing worked. I heard about these through an acquaintance that dealt with severe dry mouth and she said they were the greatest thing she had ever tried. I immediately began trying to find them and could not find them anywhere except the internet and of course, I ordered from Amazon. I placed an order and after 2-3 nights Daddy was singing their praises. He uses one when he first goes to bed and then said he uses another about 1:00 or 2:00 AM and that takes care of his dry mouth. 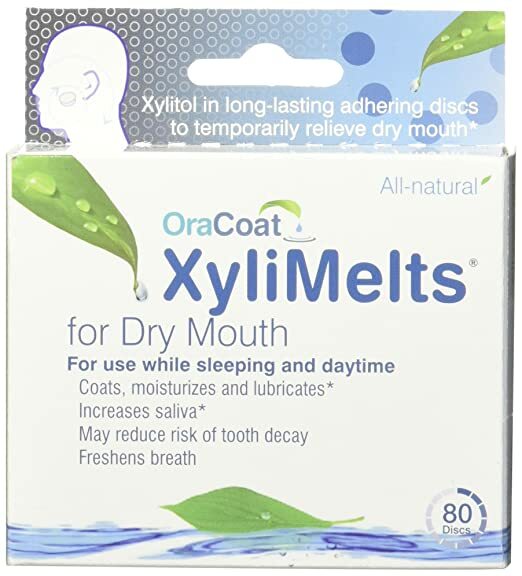 I have never had an issue thus far but if I ever do, I'll be using Xylimelts. 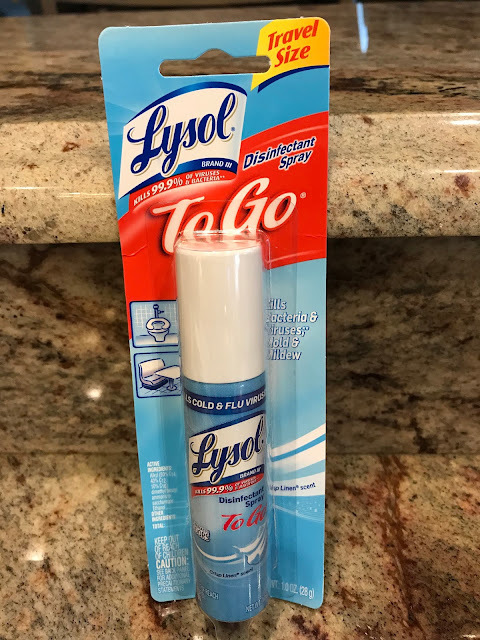 I had no idea that Lysol came in a travel size. I was looking on Amazon for something else when this popped up. I was so excited and placed an order immediately. They come 5 to a package on Amazon and I have never seen them anywhere else but they may be available through some retail stores. I will never leave on a trip again with a can of this. I'm always wishing that I had some room freshner for our hotel rooms or bathrooms I may have to use. I'm keeping one in my purse as well. I'll have all my bases covered that way. 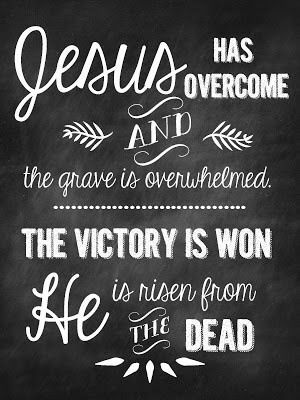 Wishing all of you a glorious Easter weekend as we celebrate our risen Savior! What we're eating this week - I grilled burgers on Monday for dinner, we ate out yesterday for Hubby's birthday and we'll have our family Easter celebration Friday afternoon and I'll be grilling pork tenders, with a potato casserole, green bean dish and rolls and lemon pound cake for dessert. I have no idea what the rest of the week might hold, grilled sandwiches? What I'm reminiscing about - I pretty much reminisce about various things everyday. Some days it's about our early years of marriage, my days of young motherhood, some days it's about my sweet Momma and on and on. 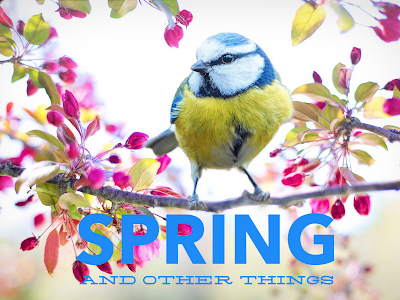 What I'm loving - Spring is bursting out all over here and I do LOVE it! It makes me so happy! This was us yesterday at the signing of the sale of our old house.It has been for sale for quite a long time so it was a great feeling to know that it is now the responsibility of someone else. This was our home for 35 years and I can't begin to tell you the memories that we will always hold dear to our hearts of our years in this house. But, we were so glad to lay aside the 2 1/2 acre yard and the two story house. The couple that bought it is so excited and absolutely loves the house and that makes us very happy. What I'm working on - I'm in a slow process, and have been for some time, of getting my closet exactly like I want it. It's been a work in progress ever since we moved in over 2 years ago. To look at it, one would think it is organized, just not in the way I ultimately want it. But, it's getting there! I will be going to Iowa towards the end of April to see this guy in his final college play. This guy is my nephew who is a senior at Northwestern College in Orange City, Iowa. He has been in every play that has been produced during his 4 years there and has had the leading role in many. He is a "born actor" for sure and I have gone for the last 3 years to see their spring production and have enjoyed them all to the hilt! It is going to be so interesting to see what doors open following his graduation in May. BTW, I will be enjoying a visit with younger brother and his wife while I am there too. I'm really looking forward to it. What I'm listening to - since Christmas I have been listening to Escape, #69 on Sirus, an easy listening station that I love. And, in the house, I listen to one of our digital easy listening stations on our TV. It's not full of noise like so much music and is so calming and peaceful. It sure beats talk radio or the news, at least, for me it does. What I'm doing this weekend - As I mentioned above, we will celebrate our family Easter on Friday and, on Saturday we'll probably stay busy right here at the house and have been busy "springing" things up outside and on Sunday, we will celebrate our risen Savior and be sooooo very thankful that HE arose! What's your favorite Easter tradition - just being with family and the excitement of our Gran girls as they hunt a few eggs and open their Easter "happies." In recent years our family Easter celebration includes our son and his family and my Dad. You must first know where all the face painting takes place for me. This is at my bathroom vanity with my makeup mirror. I have always sat down to apply my makeup and not even sure I could do it standing up. 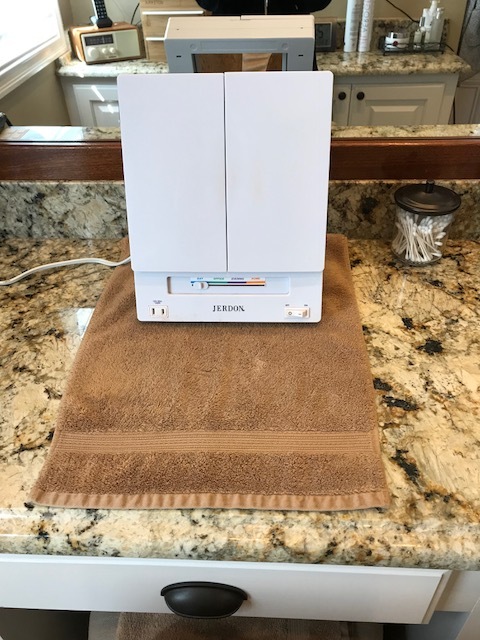 ~no joke~ I have this hand towel spread out so it will catch any powder particles. I keep my makeup in two acrylic trays in a drawer. I sit the drawers on each side of the towel and the process begins. After applying my day moisturizer I apply my foundation. I use Mary Kay's Timewise Luminous Wear liquid Foundation in Ivory 4. I have used it for several years and am still very happy with it. 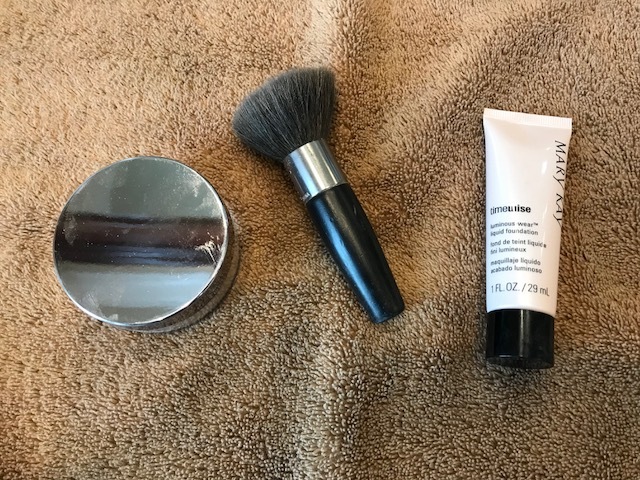 I then apply Mary Kay Mineral Foundation powder (with that fat brush shown in picture) in Ivory 4. I love the super smooth finish that it gives. Next are the eyes. 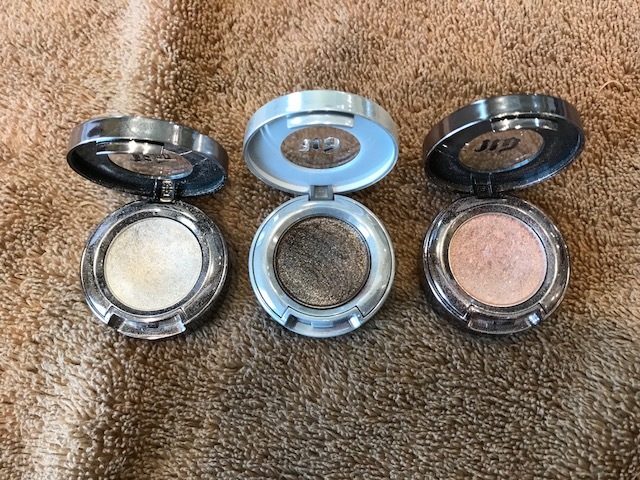 I am currently using these 3 colors by Urban Decay. The colors, from left to right are, Polyester Bride, Diamond Dog and Midnight Cowboy. I know, the names are so interesting. 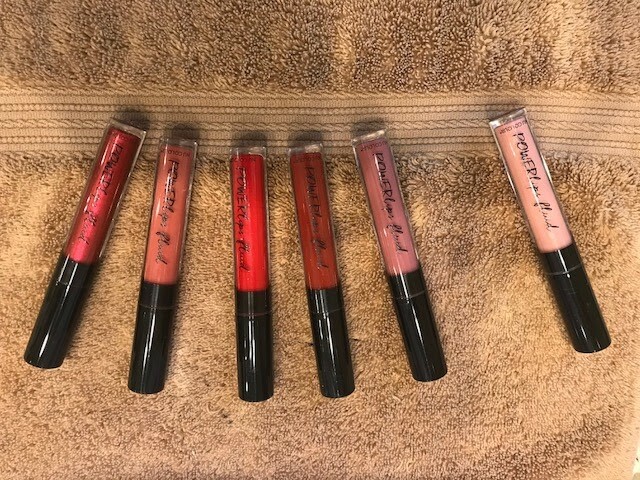 I have basically used these colors in some fashion for many, many years. I am not attached to a brand of eye shadow, just the color. I look best in earth tones and currently am loving these 3 colors. Next comes eye liner and brow pencil. Right now I'm using a Lancome eye liner and really like it. It is silky smooth and easy to apply. I have permanent eyeliner from years ago and still have plenty enough left to serve as a base. 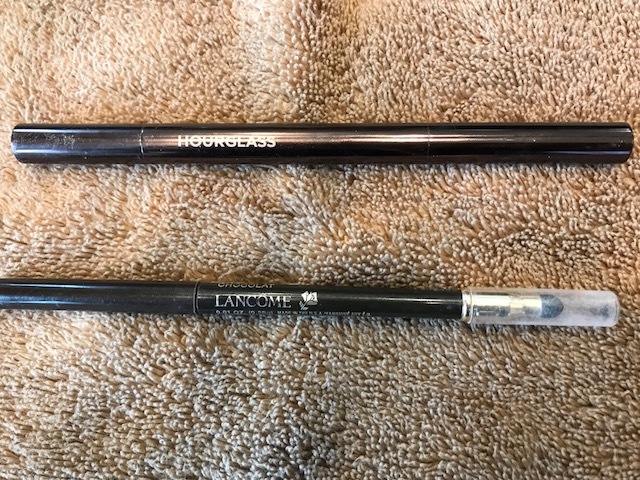 I love Hourglass eyebrow pencil. It is almost like a powder and works great at filling in my very sparse brows. AND, now it's the best part of eye makeup, MASCARA!!! I have been using Thrive for a couple of months and can't imagine that I will change anytime in the near future. If you remember, Thrive mascara is on of my "favorites." It is called, "liquid lash extensions" and that's exactly what it is. I love it! Now, it's time for blush. This is Rose Shimmer Brick blush by Bobbi Brown. I love, love, love this blush. It has just enough shimmer but not enough to have a neon glow. 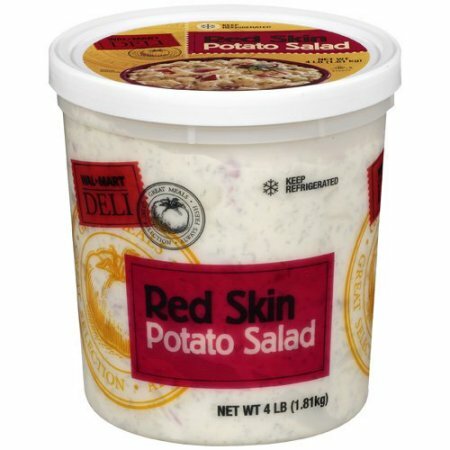 ~thank goodness~ It is not available anywhere near here so I order it from Nordstrom, but it lasts for a couple of years and I'm always concerned, when I go to order it, that they have discontinued it. I am very attached to it and I hope they will never discontinue it. 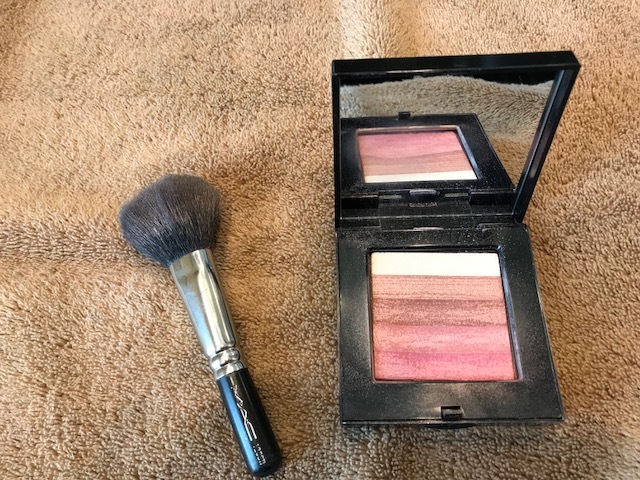 I use a MAC blush brush to apply it. So, there you have it, all things concerning makeup in my life. 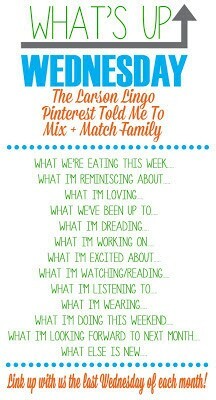 Thanks Blended Blogs gals for a fun topic! Yes siree, tomorrow is the first official day of spring and I could not be more excited! We have had little glimpses of spring the past couple of weeks. It's my favorite time of year with fall running a close second. 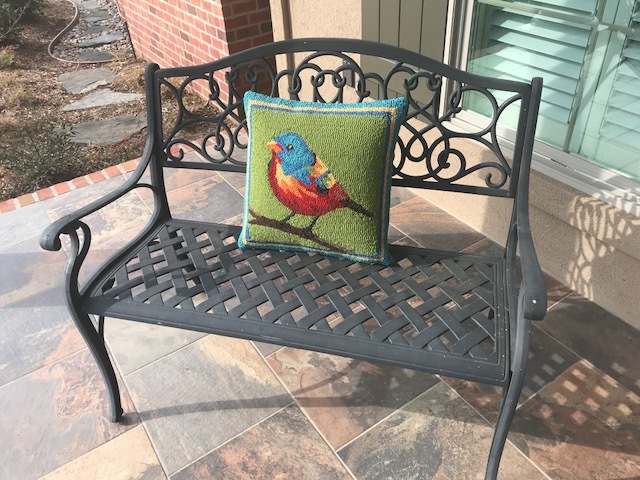 I was browsing through the Plow and Hearth catalog a couple of weeks ago and saw this indoor/outdoor pillow and immediately ordered two of them for the benches on our front porch. Of course, I love that they are birds and the bright colors are so spring looking. They look so welcoming to me. 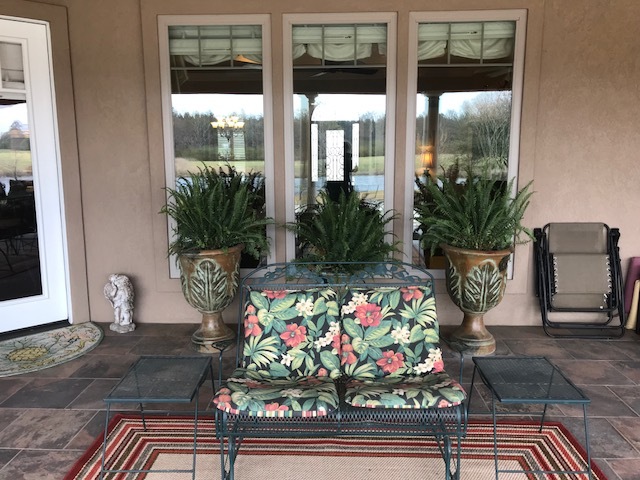 We purchased the ferns for the back porch a couple of weeks ago and because of the windows that look out to the porch, we enjoy them both from the inside and the outside. We'll be heading out early Wednesday morning towards Oklahoma to see these two monkeys. I can't believe we haven't seen them since Christmas. It is always a special and fun time when we are with them. Sure do wish they weren't 8 hours away, but I have to remember, they could be further than that. While I'm away making memories with our Oklahoma family you folks hold the fort down while I'm out of blog land this week. Joyce was gone last week to see and love on that precious Grandson. But, she's back with her thought provoking questions this week. 1. Best place you've been lately? I would have to say home. Yep, haven't been anywhere else any better since November. But, that is about to change beginning next week. We're headed to Oklahoma to see those Grandsons, then I'll be off to Iowa in April and NYC, yes that's right, NYC in May. But, let me say, I absolutely love home and I'm always as excited to get home as I was to leave to wherever it is I'm going. 2. What's something you should say yes to today? Or this week? Or even this year? Hummm.....I will have to ponder this for a few minutes and will try and come back to it when I finish the other questions if I think of an answer. I've pondered this question and still haven't come up with an answer. Sorry! I'll probably think of something once I publish this post. 3. Do you celebrate St. Patrick's Day in any way, shape, or form? If so tell us how. In Western cultures the color green is typically associated with jealousy, nature, good luck, and growth. What's the first thing that comes to mind when you hear the word 'green'? St. Patrick's day is my youngest (by 13 years) brother's birthday and ever since his birth it has been more than a special day. With that being said, I would not celebrate St. Patty's day otherwise. 4. What's a product or service you love so much you'd happily be their spokesperson? Tell us what makes you such a fan. There are a few but the first one I think of are the gals from our local Teen Challenge (a Christian based addiction recovery ministry) that assist me in many ways here at our house. They have been working for me pretty much since we moved into this house 2 1/2 years ago. All the girls are recovering from some type of addiction. They are not allowed to work outside the facility until they have been in the program 6-8 months and to hear their stories and testimonies is absolutely amazing. 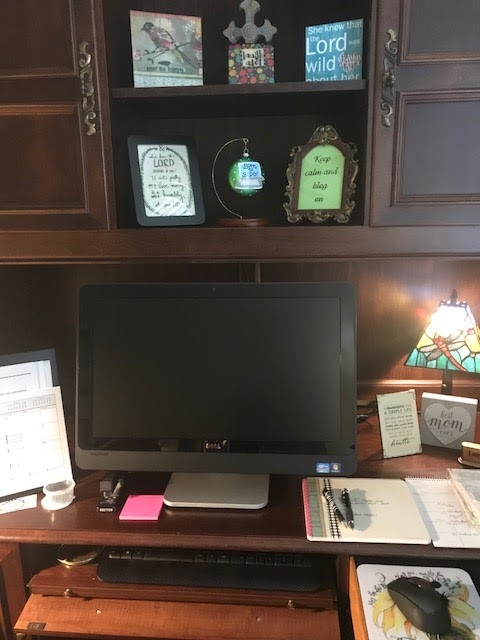 Their service is sooooo helpful to me and it thrills me to assist the ministry in this way. What's the last thing you did that required math of any kind?I was hanging a picture on a wall this past weekend and had to find the center of the wall and that required some measuring and dividing and it all came out perfectly. And most importantly do you like pie? I love pie, much more than cake. What's your favorite kind? A dear friend introduced me to a Granola Pie 3-4 years ago and it is, hands down, my most favorite pie. With ice cream, whipped cream, or please hold the cream? I do not want either, just not a fan of ice cream or whipped cream on pie or cake. I'll take mine plain. Thank you! Clancy wrapped up the sheep show season yesterday at the big state show in Oklahoma City. He had his two sheep there to compete. At the end of the competition he had to turn his sheep in. By turning in I mean, he'll never seen them again. They are sold and he will get new ones this fall for show season next year. Clancy has known since he got the sheep that this day would come but knowing and understand are two different things. And, here he is hugging one of them good-bye. It's all about skincare today and I'm late linking up but just couldn't let this one get by me. The very first thing I do when I start my nightly skincare routine is remove my eye makeup. I've used Mary Kay's oil free eye makeup remover for probably 15 years. It's gentle but does the best job of getting all the shadow and mascara off of my peepers. I dab it on a cotton ball and rub away. I then wet one of these little babes with warm water and wash/wipe off all my other makeup. Just in case you missed my favorites post a few weeks back, these are definitely one of my many favorites. They are nothing short of amazing! Then I wet my hand and apply this NuSkin cleanser and use this LumiSpa to clean my face. LumiSpa gently—yet deeply—cleanses away dirt, oil, makeup, and toxins through its patent-pending counter-rotating, pore-tightening action. 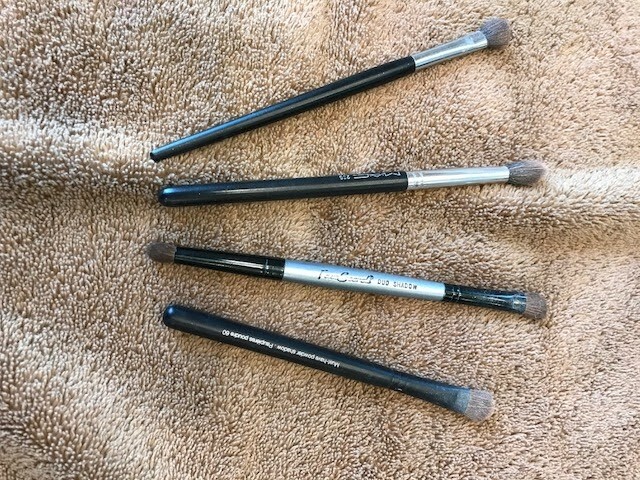 It is a wonderful beauty tool! It is set to run 2 minutes and then it automatically cuts off and I love that. I gently move it around my face while it works it's magic. Afterwards I rinse my face with the Erase Your Face Cloth. It is then time to tone my skin with this. 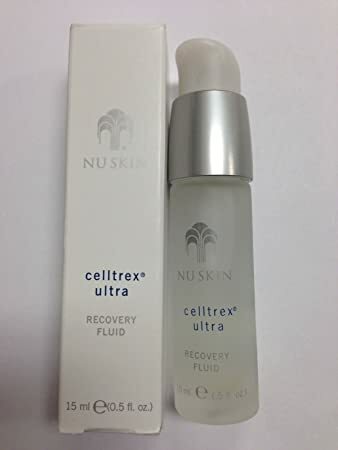 After allowing my face to dry completely a few seconds I then apply this serum, Celltrex Ultra. I pump is all it takes to cover my entire face. 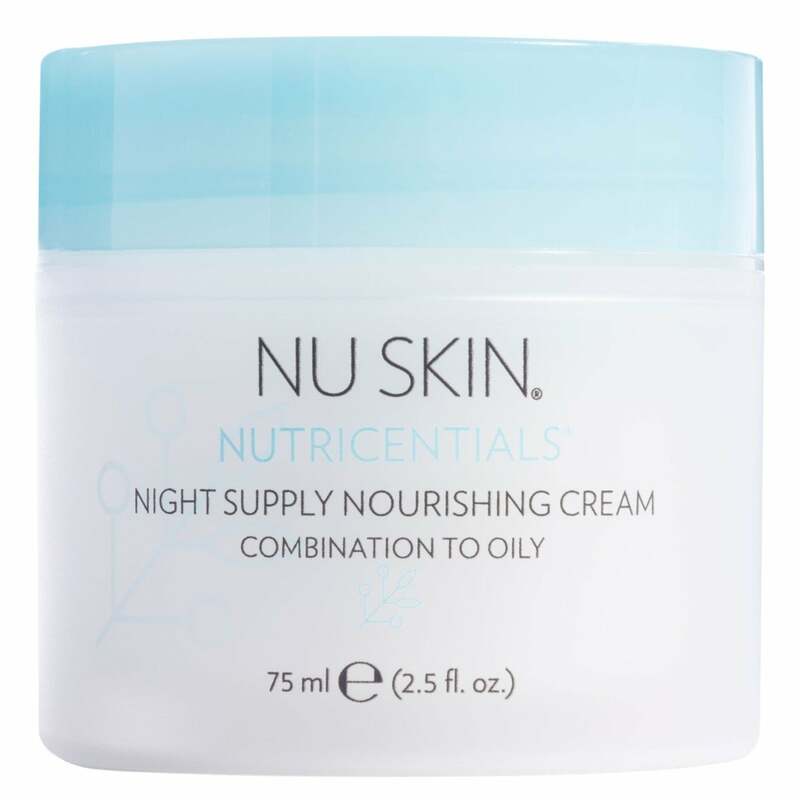 My final step is applying this nighttime nourishing cream, the icing on the cake, so to speak. This probably sounds like a very long and drawn out routine but I can promise you it is not. I probably spend 6-8 minutes doing the entire routine nightly. 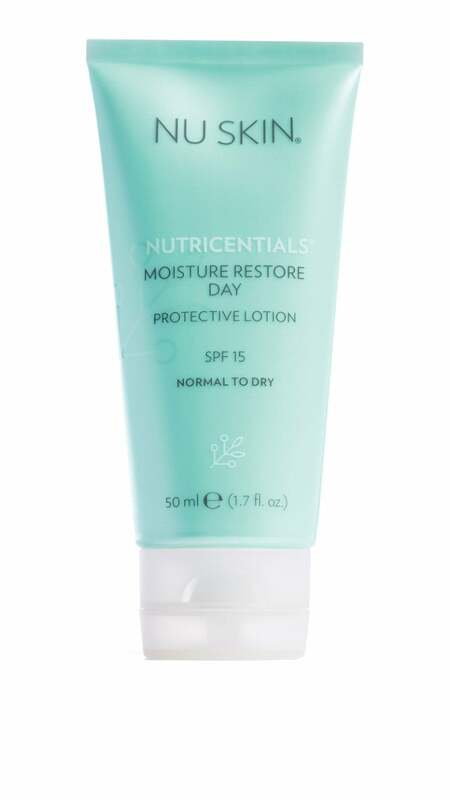 And, my morning routine, after washing my face and before applying my makeup is applying this moisture lotion. I have only been using the NuSkin system for about a month. I knew a couple of gals that were using it and I saw such a huge difference in their skin that I decided to try it. After researching it, I was more than a little impressed and I'm very pleased with it thus far. This particular regime is very reasonably priced. The Lumispa is quite expensive but it will last for years by just replacing the head about every year. The NuSkin line is sold through distributors or obtaining your own online account (which is what I have). I would just as soon buy it online as I had to have to go somewhere to buy it. Sooooo much easier in my estimation. So, there you have, my skincare! Have a cupcake kinda week!!!! This has become one of my most favorite posts to compose. 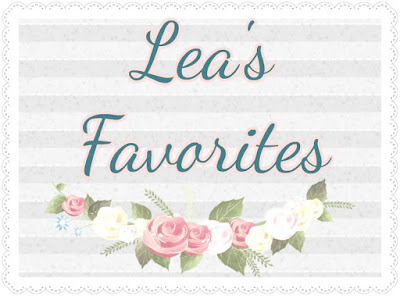 I hear from many of you that some favorite of mine have now become a favorite of yours and that makes me happy. I always like to have someone else's endorsement of a product or item before I try it myself. That doesn't always happen but it's sure nice when it does. So, here's a few for today. Foldable bed - This is a Milliard folding bed. 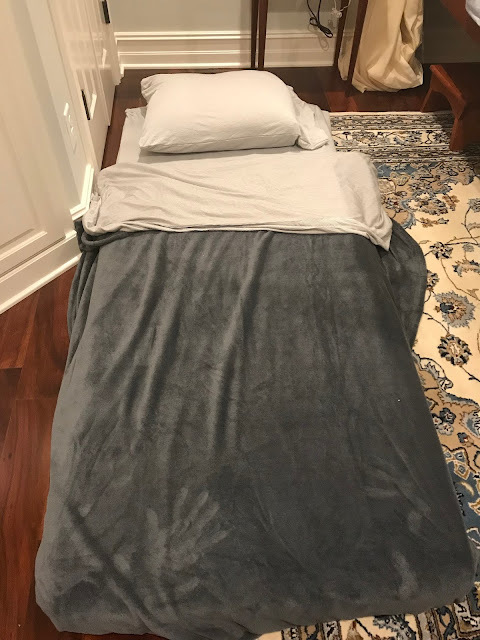 Our little 3 year old Grandaughter has been out of her baby bed for several months now and has continued to sleep in a Pac N Play here when necessary. But, she's just not comfortable in that any longer and she stayed the night with us a couple of weeks ago and I wanted her to have a comfortable bed. We have way plenty of beds here but they are all very high off the floor. That means if she rolled off of them it could really hurt her aside of scareing her too death. So, off to Amazon I went and I found this folding bed. It is 75X31 and is made out of a memory foam type material that is 4-5" thick. It is twin size and it worked like a charm for my little sweetheart but it would work well for anyone. And, when it's not in use it can be nicely stored away in this bag. It fit perfectly in the closet and I'm sure we'll be using it a lot in the coming years. You can find the bed here for a little less than $75 and you can also read lots of other endorsements for it. 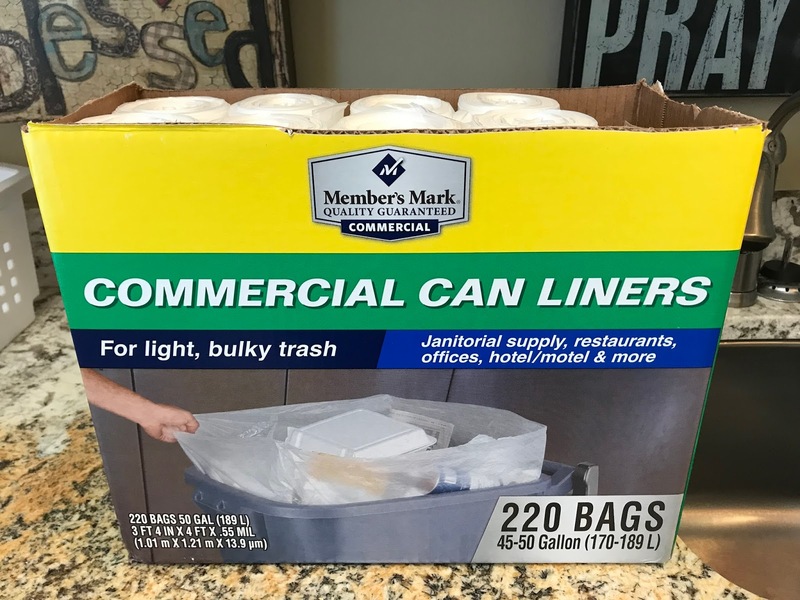 Super sized garbage bags - Folks, if you do not have these in your possession, you need too! Now, not as garage bags, although they are certainly good for that. But, they are the all time best for storing and hauling. They are a frosted clear bag and are 45-50 gallon size. That is HUGE! I found these years ago and I can't tell you how often I use them. 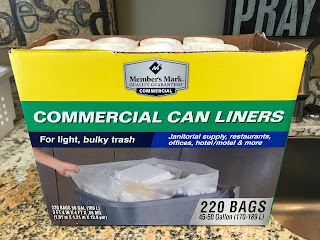 They are great to cover large items that might be in storage, they are great to put things in for storage and as I said, for taking things somewhere. I use them often to take things to the thrift store. The best part is the size and the fact that you can see what's inside them. I've never seen them anywhere except Sam's and they come 220 to a box. I generally share a box with the kids and a friend or two as that is a a whole lot of bags. They make a much heavier kind that, to me, are just too bulky and cannot easily be tied at the top. We also use them at Christmas during our gift exchange. They will hold and hold and it keeps us from having 15 bags of wrapping paper and used boxes. Tater - it is with a very sad heart that I share this........If you have been reading my blog for a long time then you have met Tater. He is a Golden Doodle that belonged to my brother and his wife. Tater was just the BEST, no two ways about it. He had no idea he was a dog. I am not even a dog person and when I first met Tater almost 12 years ago he stole my heart and I've loved him ever since. Well, the past year was tough on him and he battled several health issues and in recent days his condition worsened to the point of no return. Tater walked over the rainbow bridge this past Tuesday. He leaves behind a boatload of precious memories. I know life is going to be so different for my sister in law. He was her constant companion and my heart has been so heavy for her. Yes, Tater was my all time favorite dog, hands done!